Places like Padstow may be priced beyond the reach of most people, but there are still places around Britain's lovely coastline where property is affordable. If you’re looking for a home – whether as a primary residence or a holiday let – the coast of Britain can be an expensive place. But if you have been priced out of Padstow or despairing of Dartmouth, there is hope: Flora Watkins has found that there are still places where bargains can be found in towns which are up and coming, but have not yet arrived.  The key things to look for? Decent coffee shops and restaurants, new housing developments and the big national estate agents establishing a presence in the market. Why it’s worth looking at: Long overshadowed by Padstow and Rock, and seen as little more than a departure point for the Scillies, Penzance is a place with real buzz about it. The New York Times included Penzance in its must-see places of 2017, at 14 out of 52 on its list – ahead of Madagascar and Kyoto. ‘It has everything you’ve got at Padstow – except Rick Stein,’ says Susan Stuart, who swapped London for Cornwall in 2013 and hasn’t looked back. She’s not wrong: the beauty of the area speaks for itself (just look at the picture at the top of this page) while The Shore Restaurant, run by Rick Stein’s former protégé Bruce Rennie, is quickly earning a great reputation. Nearby Marazion and Mount’s Bay are equally good bets. What you can get: This Penzance house is a joy – a detached, four-bedroom cottage in 2/3 of an acre that’s on the market for the first time since the Second World War. It needs a little work internally but there’s nothing too scary, and at £425,000 it seems a real bargain for the right buyer. Why it’s worth looking at: Daniel Money of Sowerbys claims that Wells is ‘shedding its kiss-me-quick hat image’, while retaining the arcades and seaside shops which are part of its charm. 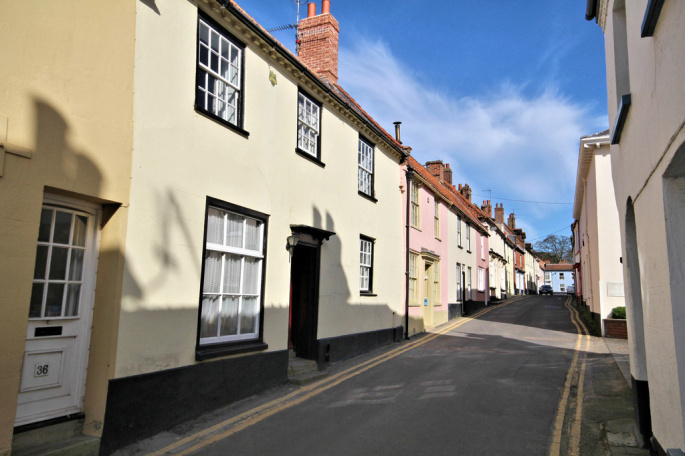 ‘Wells has really grown up, with superb bistros and galleries,’ he adds, explaining that people who would once have looked at Blakeney or Burnham Market are now focusing in on it. What you can get: Tucked away in the heart of Wells-next-the-Sea, this £450,000 house has spacious and elegant proportions. The property has been re-roofed and retains period features, including exposed beams, sash windows and an open fireplace in the sitting room. Feeling braver? 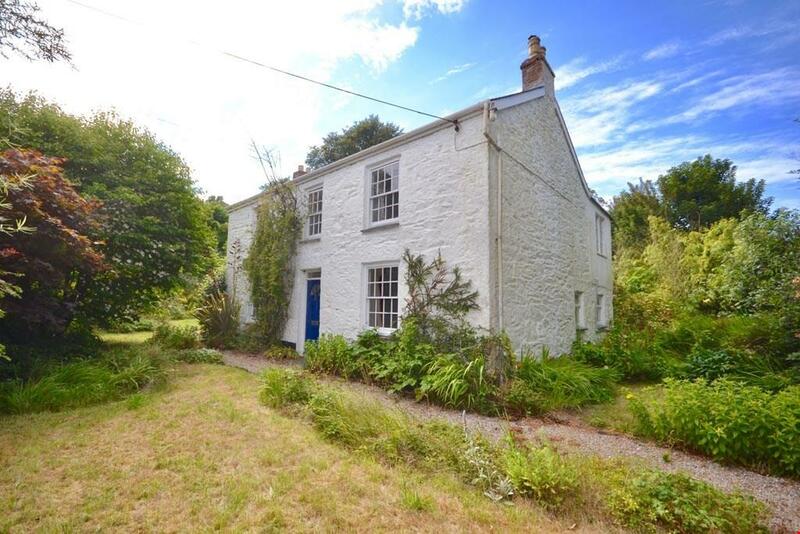 This detached three-bedroom cottage in a third of an acre just up the road from Wells in Wighton is on for the sort of price which once drove the second home market – £275,000 – but needs gutting from top to bottom. It’s a rare opportunity: the land around here is protected from development, but sites such as this can be built on so long as the new property isn’t too much bigger than the existing structure. 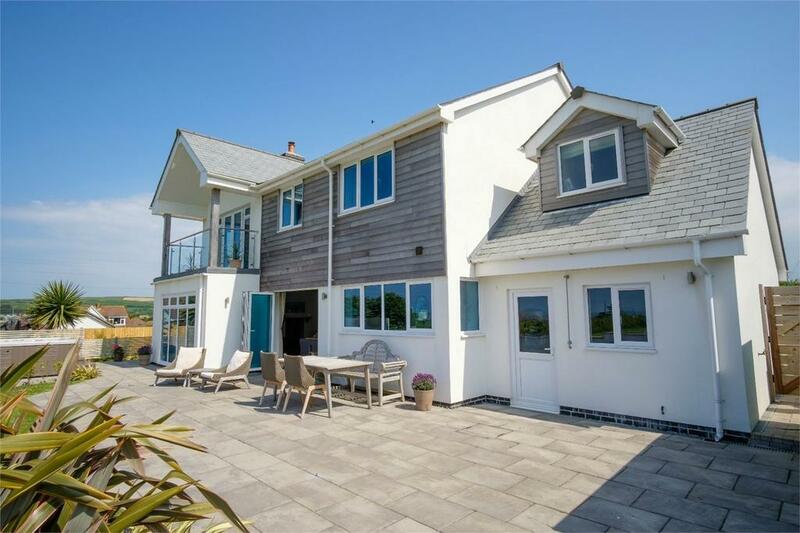 What you can get: Wonderful views of both countryside and sea can be had from this five-bedroom house, which was built in 2013. 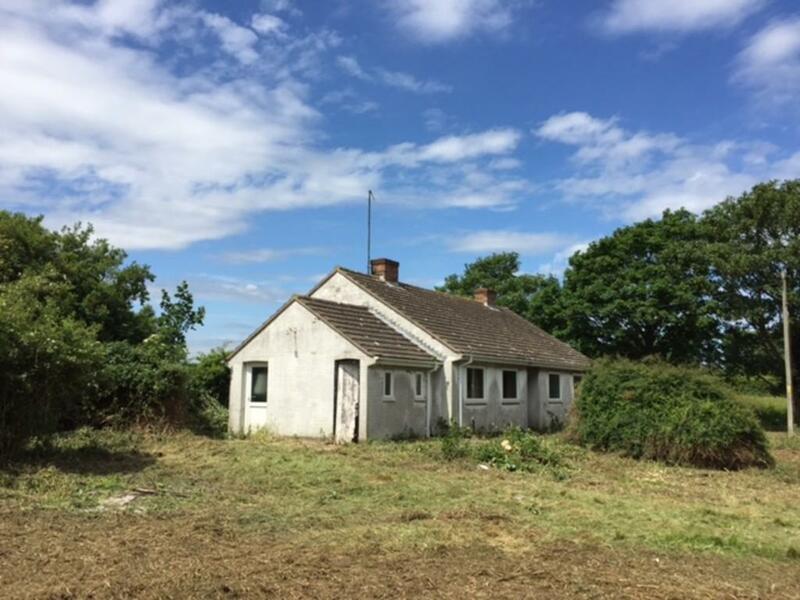 It’s on the market at £885,000 – which sounds like a lot of money until you hear that this mere plot near Padstow is on for £650,000. 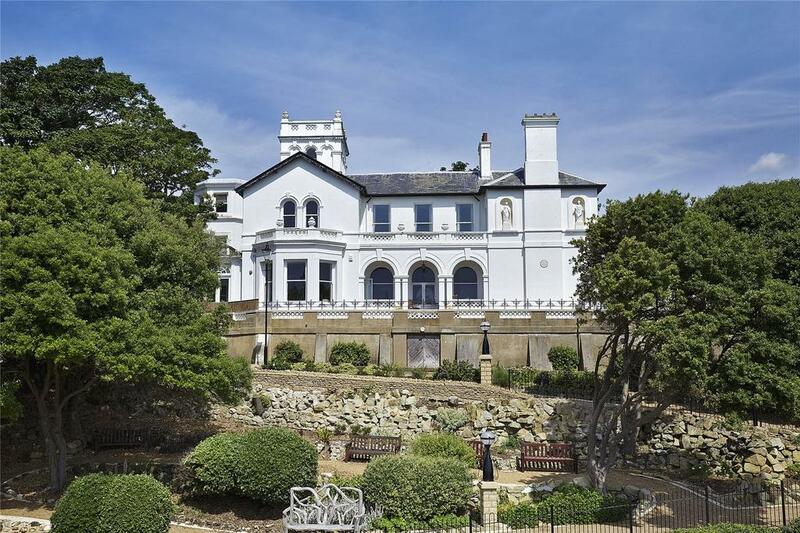 What you can get: South Beach Mansion, which is on the market at £1.375m and occupies pride of place on the beach at Felixstowe, just a short stroll from the shops. Why it’s worth looking at: Kingswear, like Brixham and Weymouth, is ‘still a bit day-tripper-ish’ according to Knight Frank’s Christopher Bailey. But it’s getting there: ‘The shops need to go through another iteration of being spruced up,’ says Baily, but he claims that the town offers essentially the ‘same lovely lifestyle’ of the vastly more expensive Salcombe or Dartmouth. 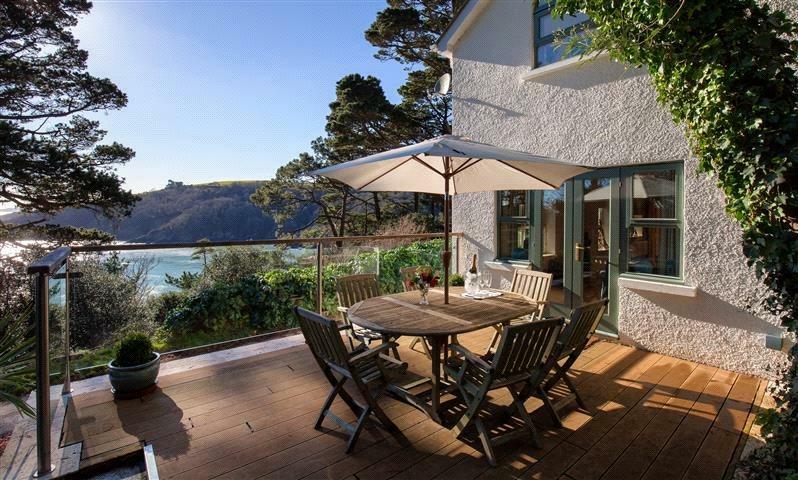 What you can get: At the end of a private road, the £795,000 Castle Cottage has sublime views of the Dart estuary. Each of the three bedrooms has a balcony with coastal views. A path through woodland, owned by the Landmark Trust, leads to the foreshore.